Ion-editor 2, MIDI Plug-in from HyperSynth. 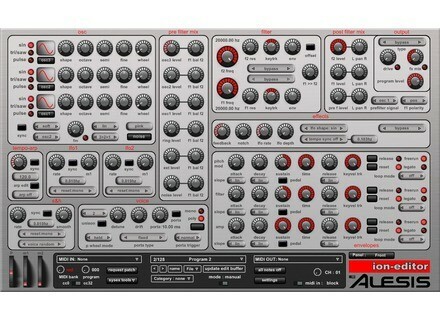 HyperSynth has updated Ion-editor, a software editor for the Alesis ION and Micron analog modeling synthesizers. New registration method that is based on username instead of machine-id. Added readout for all parameters. Added option for disabling graphical readout. Added dedicated zoom level in settings menu with save option (standalone version). Added full-screen button (standalone version). Added “reset to default” for m1 and m2 wheel. Enhanced m1, m2 and pitch wheel graphics and movement. Enhanced Filter Freq, Porta time and ENVs readout format. Now for all parameters “reset to default” responds to “Double Click” besides “Ctrl + Click” for more flexibility. Fixed OSCs and ENVs LED selectors malfunction after requesting patch. Fixed bug in Cubase 5 which caused to block MIDI out after adding plug-in in project. Fixed crash after opening a project with multiple instances of the same plug-in in Cubase. Fixed problem that caused “Rename” window to be displayed wrongly after manually sending a SysEx patch to editor from micron/ion. Fixed problem that blocked auto sysex listening in some circumstances. Improved compatibility with VST hosts. 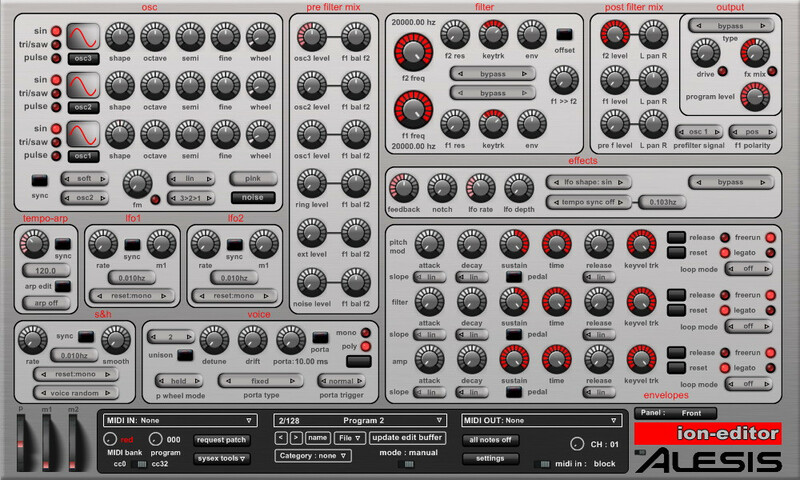 Ion-editor is available to purchase as a VST plug-in for Windows for $38 USD. Sound Magic Fazioli Brunei Sound Magic has announced the Fazioli Brunei, a hybrid modeled piano library for Native Instruments Kontakt.